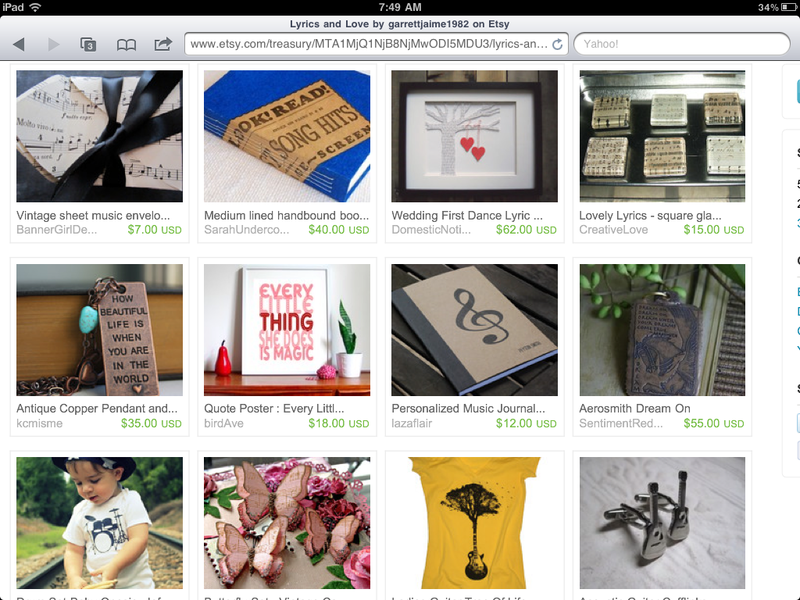 This Tuesday in my Etsy treasury, I was inspired by my families love for music. I named the treasury Lyrics and Love which is also the name of the blog that documents this families journey through a life full of music and love. To find out which items I found musically inspiring by the talented folks on Etsy this week, click HERE for a direct link to the full list. Inspired By Music and Love. What music inspires you?